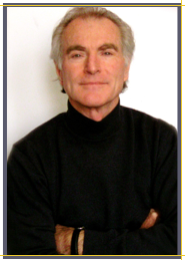 Dr. Michael Gottleib’s formal training is in organizational development where he has been a consultant for over 30 years. He has worked with state and federal governments, for-profit, and non-profit organizations offering services in strategic planning, team building, leadership and other organizational interventions through action research. He has established a regional presence in the upper Rocky Mountains and Pacific northwest regions, while working from his domicile in Helena, MT. At Walden University, he teaches doctoral capstone, marketing research, and consumer behavior courses, while also serving as a mentor for student doctoral studies. Education and life long learning has been a priority leading to a diverse academic background that fuses military experience (U.S. Naval Academy, USMC), the creative arts, marketing, and organizational leadership. Dr. Gottleib’s current research interests are in applying documentary filmmaking to extraordinary human and team accomplishments. Gottleib, F. M., Smith, N. C. (2011). College Access Programs in Montana: The Economy, Perceptions, and Reach. Gottleib, F. M. (2007). Emotional Intelligence and Team Learning.